Tātarāmoa you have held a fascination for me from the very first time I heard of you. I hold fond memories of the times I have found you in many out of the way places and managed to gather some of your prickly leaves to bring home as a tonic/rongoā for my people. Your ability to calm an overactive or anxious mind and bring sweet sleep has converted many to the gifts that our plant medicines can bring. As I was pruning and clearing my hydrangea hedge this past weekend I came across a seedling, one of your tamariki and it got me thinking about whakapapa. As I build deeper relationships with particular plants I’ve noticed that they will then naturalize here at home. This is whakapapa, a primal inter-connectedness that goes deep. It’s a long line that goes way back through many generations of tūpuna. We are of the same tribe. Papatūānuku is our mother Rangi-nui our father. Tātarāmoa (rubus cissoides) is in the same family as the blackberry and the raspberry sharing many common traits. Tātarāmoa has been used historically as a treatment for vomiting, stomach ache, abdominal pains, diarrhoea and dysentery. It has an affinity with the female hormonal system being useful for dysmenorrhoea (painful menstruation), to bring on the menses and help dispel the whenua (placenta). 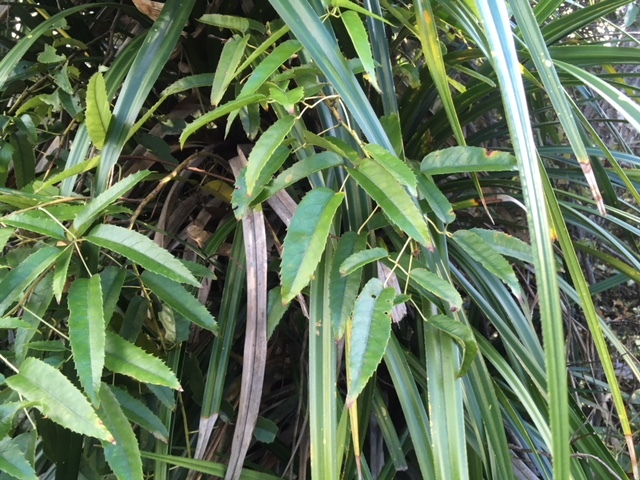 Used in this way it is often combined with flax root and raūpo or karamū. Traditionally vapour baths and hot stones from fires made with tātarāmoa vines were used after delivery. I most commonly use tātarāmoa these days to calm an agitated nervous system. It can bring calm and relaxation to someone coming off drugs or alcohol. As part of a self-care regime making a nightly brew taken just before bed will often bring much-needed sleep, and for those who suffer from anticipation anxiety preventing sleep. For teething babies it’s a very palatable brew. For littlies a teaspoon or two before bed can help to bring about a peaceful sleep. In my experience it helps to take it just as you are laying down to sleep as it brings a wonderful sense of relaxation and calm to the mind and the body soon follows suit. So happy to spot this seedling under my hydrangea hedge. 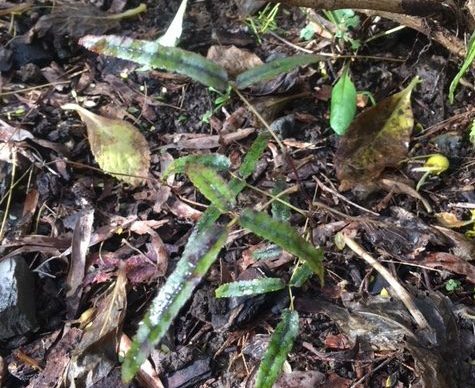 Go along and have a chat to your local rongoā Māori practioner for more information or help with plant identification. Here at Te Herenga Waka o Orewa Marae we make up fresh teas and tonics on request.